Primex Mortgage Corporation is the trusted resource for home loans in Gaithersburg, Maryland, and we have been building our reputation for over a quarter of a century. We are the best at what we do because we go the extra mile to develop relationships with reliable mortgage lenders. There are more than 200 different loan programs to choose from when you work with our company, and this is something that truly sets us apart from many other mortgage brokers in Montgomery County. Gaithersburg is a fantastic place to pursue a career path, with major employers like the National Institute of Standards and Technology, Lockheed Martin, Kaiser Permanente, and IBM just to name a few. This business climate makes local real estate very valuable, and we are here to help if you are ready to make a move into a new home. From Darnestown to Quince Orchard to Laytonsville to Etchison, for home loans in Gaithersburg, MD, Primex Mortgage Corporation is the only name you need to remember. An FHA loan can be the ideal way for people with limited down payments and/or less-than-perfect credit to enjoy the benefits of home ownership. To qualify, you need a 500 credit score if you have a 10 percent minimum down payment. If your credit score is 580 or higher, you only have to produce 3.5 percent as your down payment, and this can make all the difference. We can obtain FHA loans for clients that qualify, and we would be glad to act on your behalf. Active duty members and veterans of the United States military can potentially obtain VA mortgages. Qualified applicants can obtain VA home loans without any down payment at all, and the credit score requirements are relatively modest. 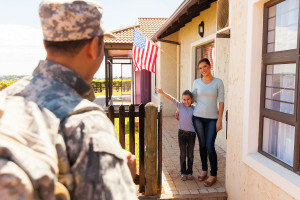 Our Gaithersburg, Maryland mortgage brokers have a great deal of expertise when it comes to Veterans Administration home loans, and we can put it to work for you. You can also rely on Primex Mortgage Corporation if you are looking for a conventional loan. Because we have so many different lenders you can choose from, you can go forward with the knowledge that you obtained the most favorable home loan terms that were available to you. Visit our contact page if you would like to set the wheels in motion electronically, and you can speak with a Primex Gaithersburg, Maryland mortgage broker right now if you call us at 301-468-5600.